I absolutely hate the cold, but living in London at this time of the year doesn't leave me with much choice apart from wrapping up warm and getting on with things. Winter does present us with the option of layering up as many pieces as possible, and although I've never been one for wearing a lot of colour, I still think you can do winter style right with minimal effort. Classic never goes out of style which is why I always try and fill my wardrobe with pieces that I know I'll get plenty of wear out of each season. You guys really seemed to enjoy this outfit on my instagram so I wanted to share this simple look with you on the blog. I'm an outerwear addict and have rails upon rials of coats and jackets in my house, however this has to be one of my all time favourites. 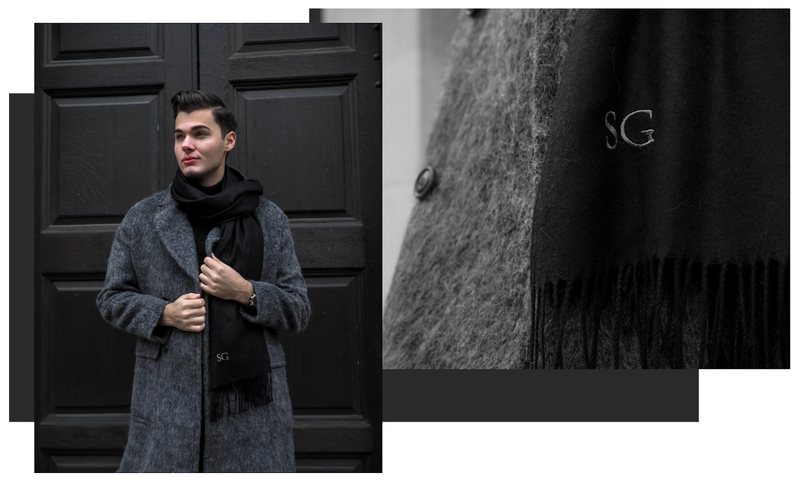 What's not to love about an classic wool overcoat? This one is from French Connection and is currently in their winter sale. My favourite thing has to be the heavy pile texture that adds something different to the overall look compared to a regular overcoat. 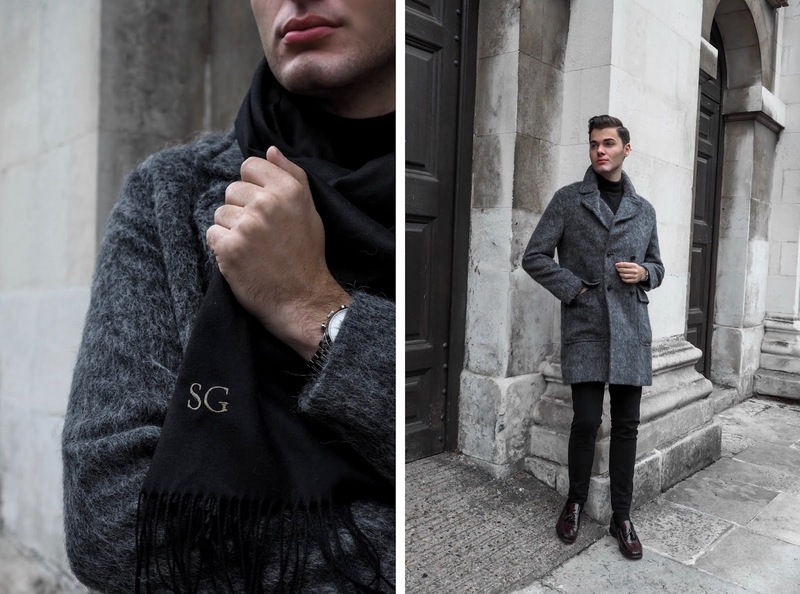 I, of course, couldn't do a winter style post without featuring a roll neck, and wanted to keep the rest of this look quite paired back and relatively plain. I went for this black roll neck and chino combination from Reiss and finished the look with my favourite pair of oxblood loafers and a black cashmere embroidered scarf from a new brand, Amouri. I love how they added my initials to it when they sent it to me, for that added touch of detail and personalisation. I think in today's world and with today's trends, fashion is becoming more about standing out and people can overdo their outfits sometimes, adding too many layers or focussing on being as 'out there' as possible. For me, it will always be about being effortless chic and stylish, with a heavy focus on quality pieces that stand the test of time. I'd love to know if any of you take inspiration from this outfit and what you think!